Steven A Brody M.D. PhD provides comprehensive services in antiaging medicine. 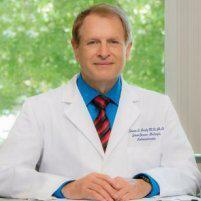 In addition to this expertise in infertility and reproductive endocrinology, he is an integrative medicine specialist. His practice, the Infertility and Lifespan Medical Institute, in San Diego California. Both men and women benefit from is clinical services in anti-aging medicine. Dr. Brody offers treatments that are safe, effective and therapeutic. As we progressively get older the likelihood of medical problems, diseases and changes to our body seem to be inevitable. It is often stated that it is impossible to find the “fountain of youth” made famous by Ponce de Leon. Practitioners of antiaging medicine believe it is possible to not only prolong life but to also maintain a high quality of life and functioning as we progress through our 70s, 80s and 90s. There is a huge body of medical literature which proves that antiaging techniques are feasible. It should be recognized that there are several populations on earth in which everyone lives to a ripe old age; without any medical conditions such as diabetes, heart disease, high blood pressure, cancer or arthritis. Observations of these communities have given us a wide variety of techniques that can be used in antiaging medicine. What are the benefits of anti-aging medicine? The lifestyle characteristics which lead to heart disease, diabetes, obesity and other chronic conditions must be modified. With the appropriate interventions we can now improve nutrition, metabolism and cellular function. As a result, chronic diseases can be ameliorated, and in most cases reversed. Using the same techniques, we can slow down the progression of aging, and maintain a healthy quality of life, free of chronic disease. How do hormone deficiencies affect the aging process? An important goal is to determine if there are any hormone deficiencies which can account for the aging of human cells. We measure these hormone levels; which are derived from seven glandular and tissue systems in the body. These include the pancreas, adrenal gland, pituitary thyroid, the ovaries and testes, fat tissue and the endovascular system. Our goal is to restore these hormone levels to that of an individual of 30 to 35. How common is low testosterone and erectile dysfunction? The main hormone that enhances the sexual and reproductive functioning of men is testosterone. It is remarkable that testosterone levels start to drop around the age of 30. From that point on there is a consistent decline in a man’s level of testosterone of about 1% per year. Andropause is the condition or clinical state which men experience when their androgen levels drop below normal physiologic levels. Andropause may be compared with menopause in women. The first thing men may notice when testosterone is lacking is a reduction in the desire for sexual activity with the failure to obtain adequate erections. This prevents coitus and can essentially disrupt one’s entire life. With testosterone deficiency some men may notice an increase in the size of the breasts, which is called gynecomastia. Sometimes there is weight gain or lack of energy, loss of hair and baldness, sleep disturbances and most prominently, erectile dysfunction. In most of these situations more than one symptom will occur simultaneously. How can we treat testosterone deficiency? There are many ways to administer bioidentical testosterone. The most common way is to use gels or creams that are tailored to your own hormone levels. Implants of testosterone are occasionally used. Another therapeutic way of administering testosterone is to use weekly self-injections of the hormone. We start with low doses and build up progressively until the desired benefits are achieved. Testosterone replacement therapy is extremely successful in restoring morning erections, increasing, libido, boosting muscle mass, increasing alertness, increasing drive and vitality, and building a greater sense of well-being. At the same time the proper balance between androgens and estrogens is achieved. Modern medicine has changed. Physicians are now aware that the treatment of medical problems does not just rely on pills, surgery and radiation. In integrative medicine the practitioner takes into account the body as a whole. The goal is to treat the underlying problem and not just the symptoms. The goal is to try natural methods before resorting to pharmaceuticals. And finally, the goal is to promote wellness by looking at the person as an individual with unique problems and necessities. In integrative medicine we use many modalities. These include lifestyle change, prevention, early detection, detoxification, natural hormones, bioidentical hormones, nutritional optimization, orthomolecular medicine, targeted nutraceuticals, stress reduction techniques and epigenetics. The benefits of these methodologies can be manifold.